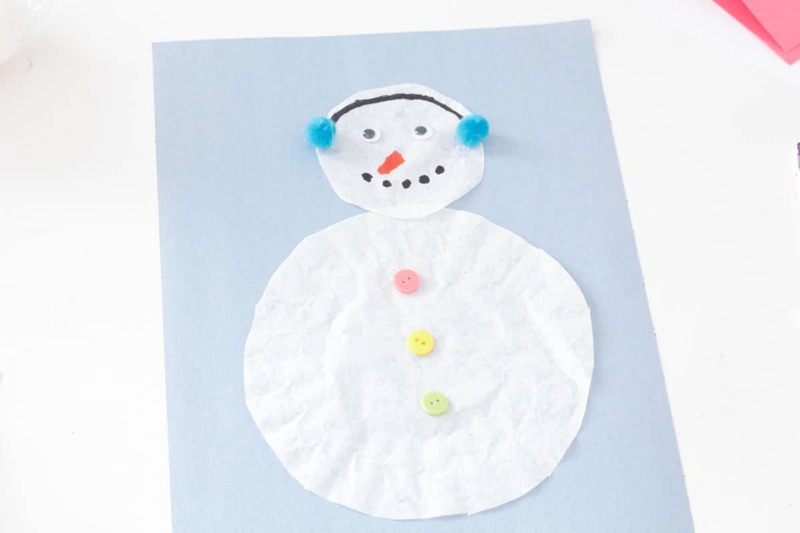 Kids will be delighted with this simple coffee filter snowman. The simplicity of this craft makes it ideal for completing with preschool and kindergarten kids. 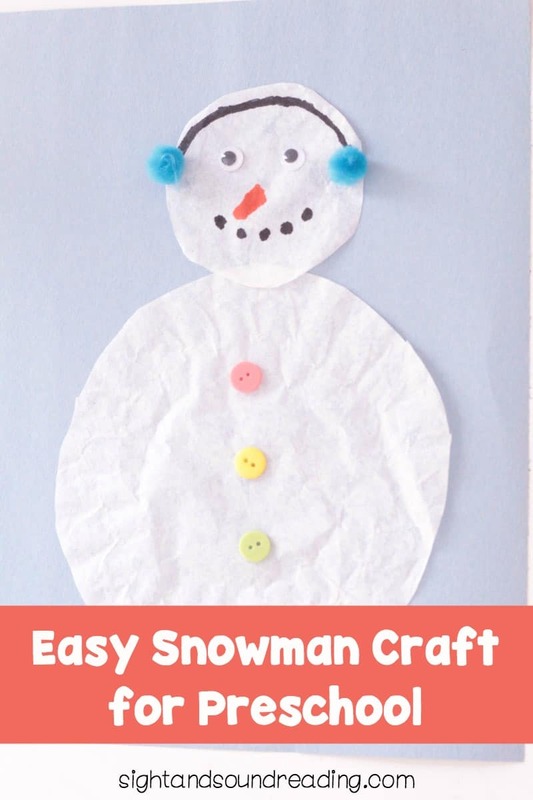 Use this snowman craft during Christmas for a fun holiday craft, or save it until January between Christmas and Valentine’s day to spice up your lessons during that time. 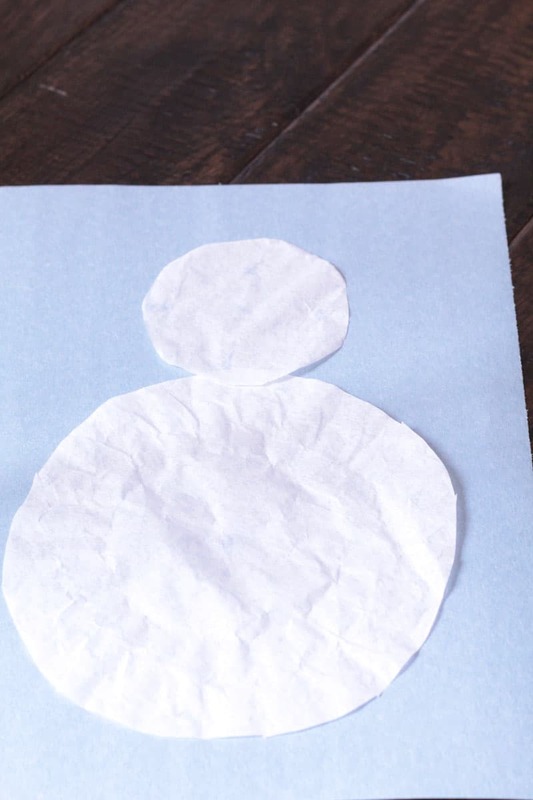 You can also make this easy snowman craft for school when studying the letter S! Cut out the center part of one coffee filter, leaving the other filter whole. The smaller filter piece will become the snowman’s body. Glue the coffee filters to a piece of paper stacked just like a snowman. Glue three buttons to the bottom coffee filter. Glue on two googly eyes, draw on a mouth, and draw on a nose. Glue two pom poms to either side of the snowman’s head to become earmuffs. Draw on the earmuff headband with markers. Wait for the snowman to dry before sending it home with the kids.